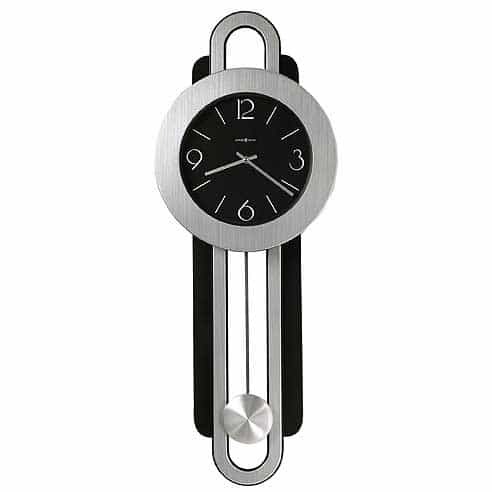 Contemporary two-tone pendulum wall clock features brushed nickel and satin black finishes. The pendulum has a spun silver finished bob suspended on a silver tone metal stick. 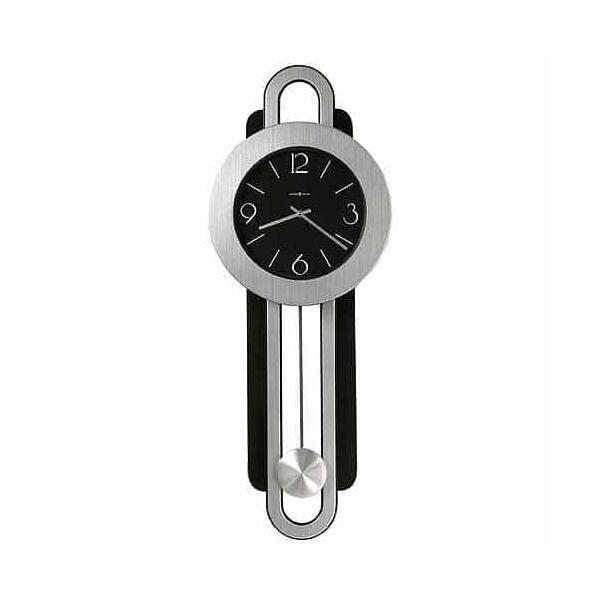 The black dial features smartly contrasting silver Arabic numerals and hands. Quartz, battery operated movement.